Little Foot is 15 months today. Wow… really, where has all the time gone by? Every month on this day, I ask myself the same question. Being a working mother is tough emotionally. Same for the working father. We go through each day trying to run home as early as possible, just to catch that short window of time before baby falls asleep. And you hope in that short 1 to 2 hours before bedtime, she will suddenly crawl, nod head, clap or walk for the first time. It’s heart wrenching when I am informed that she has crawled or taken a step on her own. 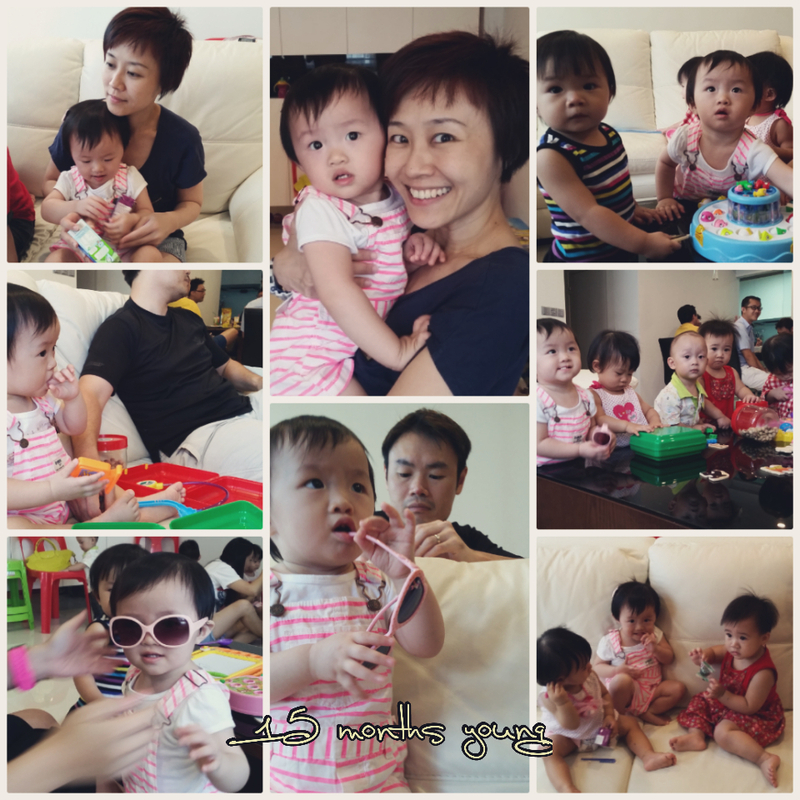 ♡ Little Foot is more steadily standing and walking assisted. Still not quite ready to let go and walk on her own. ♡ Had tried so many different types of food because of our Taiwan trip. 15 months on, and I am still a breastfeeding mummy… some days I think of stopping, but watching your restless sleeps, I can’t bear to. Don’t worry, mummy’s not in a hurry. Be my baby a little longer ok? Love you lots, my silly kissy baby. I continue to pray that you will always sing your own tune in life, and not feel pressured by your surroundings to conform. I know every milestone, you are going at your own pace, take your time, baby, the road ahead is long! 15 months together has been a road filled with self – discovery, laughter and tears… and that’s what makes this journey meaningful and memorable. I look forward to being here for you for many many more months and years ahead… making memories together. Hope your flu that is making you grumpy goes away soon!